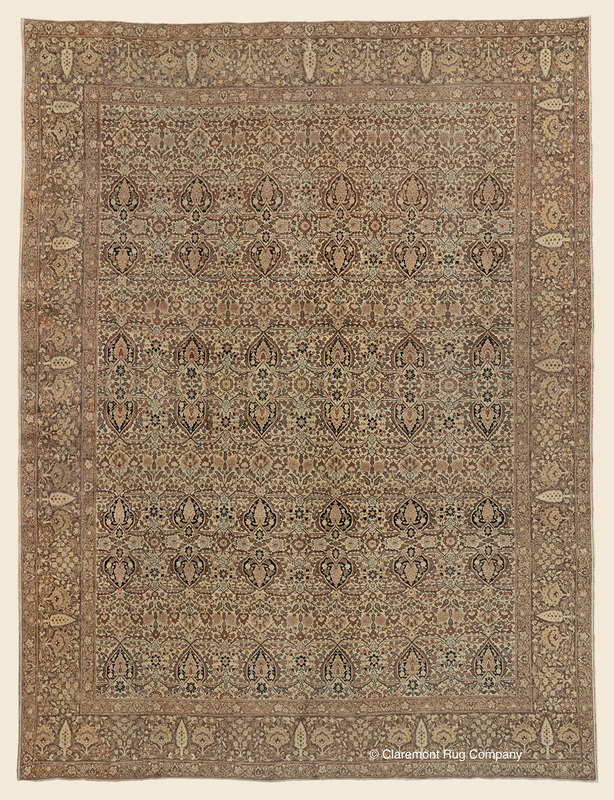 Search Our Inventory / All Rugs / 9&apos; 3" x 12&apos; 5"
9&apos; 3" x 12&apos; 5"
(High-Decorative) (�Spring 2019 New Acquisition�) During the 19th century and turn of the 20th century, the workshops of the Northwest Persian city of Tabriz strove to convey extraordinarily subtle nuances of color, while using limited but surprisingly diverse palettes of extremely versatile earth tone hues. This immersive antique carpet is a highly successful example of this special dexterity, through the use of inviting shades including celadon, leather, warm ochre, steely gray, taupe and soft teal. A fine weave and sturdy foundation make this piece a highly practical solution of a space as well as a wonderfully aesthetic one.